Previous: What is a document - Part 3. In the late Eighties, I had access to an IBM PC XT machine that had Wordperfect 5.1 installed on it. Wordperfect was both intimidating and powerful. Intimidating because when it booted, it completely cleared the PC screen and unless you knew the function keys (or had the sought-after function key overlay ) you were left to you own devices to figure out how to use it. It was also very powerful for its day. It could wrap words automatically (a big deal!). It could redline/strikeout text which made it very popular with lawyers working with contracts. It could also split its screen in two, giving you a normal view of the document on top and a so-called “reveal codes” view on the bottom. In the “reveal codes” area you could see the tags/markers used for formatting the text. Not only that, but you could choose to modify the text/formatting from either window. The next big "aha moment" for me came with the arrival of a plug-in board for IBM PCs called the Hercules Graphics Card. Using this card in conjunction with the Ventura Publisher on DRI's GEM graphics environment  dramatically expanded the extent to which documents could be formatted - both on screen an on the resultant paper. Multiple fonts, multiple columns, complex tables, equations etc. Furthermore, the on-screen representation mirrored the final printed output closely in what is now universally known as WYSIWYG. Shortly after that, I found myself with access to an Apple Lisa  and then an Apple Fat Mac 512 with Aldus (later Adobe) Pagemaker  and an Apple Laserwriter. My personal computing world split into two. Databases, spreadsheets etc. revolved around IBM PCs and PC compatibles such as Compaq, Apricot etc. Document processing and Desktop Publishing revolved around Apple Macs and Laser Printers. I became intoxicated/obsessed with the notion that the formatting of documents could be pushed further and further by adding more and more powerful markup into the text. I got myself a copy of The Postscript Language Tutorial and Cookbook by Adobe and started to write Postscript programs by hand. I found that the original Apple Laserwriter had a 25 pin RS/232 port. 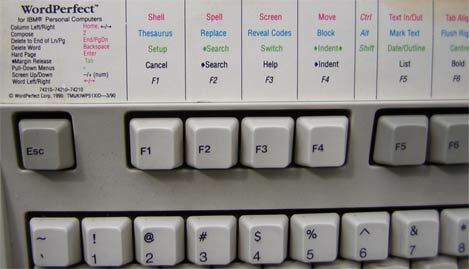 I had access to an Altos multi-terminal machine . It had some text-only applications on it. A spreadsheet from Microsoft called – wait for it – Multiplan (long before Excel) – running on a variant of – again, wait for it – Unix call Microsoft Xenix . Well, I soldered up a serial cable that allowed me to connect the Altos terminal directly to the Apple Laserwriter. I found I could literally type in Postscript command at the terminal window and get pages to print out. I could make the Apple Laserwriter do things that I could not make it do via Aldus Pagemaker by taking directly to its Postscript engine. Looking back on it now, this was as far down the rabbit hole of “documents as computer programs” that I ever went. Later I would discover TeX and find it in many ways easier to work with than programming Postscript directly. My career started to take me into computer graphics rather than document publishing. For a few years I was much more concerned with Bezier Curves and Bitblits using a Texas Instruments TMS 34010 to generate realtime displays of financial futures time-series analysis (A field known as technical analysis in the world of financial trading ). It would be some years before I came back to the world of documents and when I did, my approach route back, caused me to revisit my “documents as programs” world view from the ground up. It all started with a database program for the PC called dBase by Ashton Tate. Starting from the perspective of a database made all the difference to my world view. More on that, next time. Next up : Part 5.